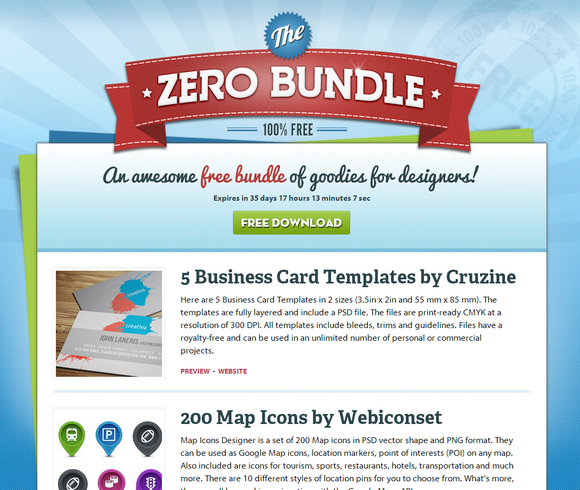 This bundle is called “Zero Bundle“, and it’s called zero simply because that’s what it costs zero. We all love cheap resources, but free is always better, isn’t it? it’s an awesome bundle of free design goodies, with icons, textures, PSDs and much more. The bundle will remain active for only 30 days, so download yours today so you don’t miss out on this great opportunity for accessing hundreds of beautiful icons. All icons can be used for personal and commercial uses but cannot be redistributed.